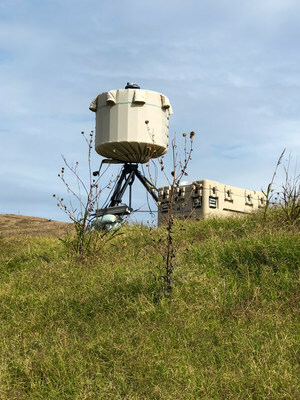 SYRACUSE, N.Y., Jan. 31, 2019 /PRNewswire/ -- SRC, Inc.'s AN/TPQ-49 radar provided air surveillance for the Canadian Armed Forces during the 2018 G7 Summit in Charlevoix, Quebec. The AN/TPQ-49 radar with LSTAR® air surveillance software provides 360 degree, 3-D electronic scanning capabilities for detecting and tracking the most difficult airborne targets, such as unmanned aircraft systems, fixed and rotary wing aircraft, ultralights, paragliders and hang gliders. "SRC is proud to support our allies in the vital mission to protect dignitaries and world leaders during events like the G7 summit," said Paul G. Tremont, president and CEO of SRC. "These VIP events require advanced security and we are ready and willing to provide our innovative technologies to help keep America and its allies safe and strong." SRC is growing and has opportunities with more than 300 positions to fill over the next year. The company is currently hiring digital, software, systems and test engineers across the U.S. to support the company's innovative research and development projects. Details on employment opportunities can be found at www.srcinc.com/careers.